Frank Ayling’s home was at Goldrings Farm, Harting Coombe. He is thought to have enlisted before World War 1, possibly having become interested in the Royal Navy as his father was a Wardroom Steward in Portsmouth in the 1890s. Frank Stuart Ayling was born in Portsea, Portsmouth on 5 May 1890. He was the eldest of three children of Charles Edward Ayling, who was born in Rogate, a Wardroom Steward, and his wife Alice nee Hoad from West Marden. In 1891 Frank and his parents were living at 31 Croft Road, Portsmouth. By 1901 Charles had died and Alice and the three children had moved to Harting Coombe to live with Alice’s mother Caroline Hoad, possibly at Goldrings Farm which was her address in 1911. Caroline is described as a ‘dairy farmer’. In 1911 Frank was not at home on Census night. Possibly he had already joined the Royal Navy. 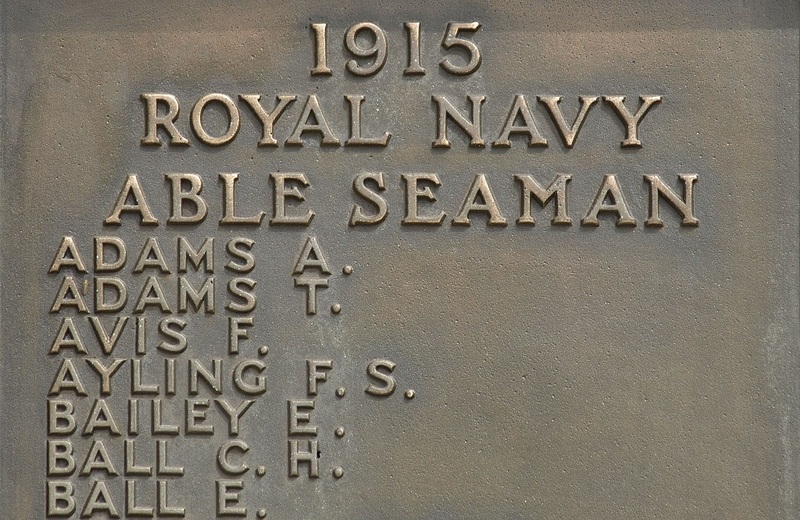 Frank was an Able Seaman who by 1915 had joined the submarine service and was serving on HMS E10 of the 8th Submarine Flotilla based on HMS Maidstone at Harwich. In the late afternoon of a January day in 1915 His Majesty’s submarine E10 slipped her moorings and in the company of HMS E5 sailed from Harwich for North Sea patrols NNW of Heligoland. On 18 January she took part in an operation which was part of a plan by the Admiralty for a destroyer raid, codenamed ‘Plan J’, on the German outer patrol which was reported to be holding the line between Borkum and Horn Reefs. There was however no encounter with the enemy and at 19.50, E10, commanded by Lt Cdr William St J Fraser, was seen to set course to the South. She was not seen again and it was assumed that she had run into a minefield and had been destroyed by an enemy mine. For 87 years E10 lay on the bottom of the North Sea in an unknown position, but in 2002 a North German diving team from Heath and led by Andreas Peters found and identified E10 lying in 38 to 44 feet of water to the Southwest of Heligoland. From the evidence seen during the dive it was confirmed that she had been sunk by a mine. The wreck is now preserved as a war grave. 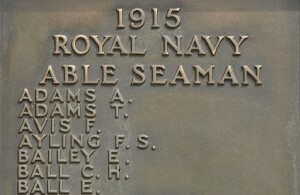 Frank’s name is commemorated on the Rogate War Memorial and the Portsmouth Naval memorial.